Words flow in simple, neat little packages on the pages of local poet Michael McLaughlin’s new book. The stanzas appear simple, but each line’s place is carefully poised in each verse. 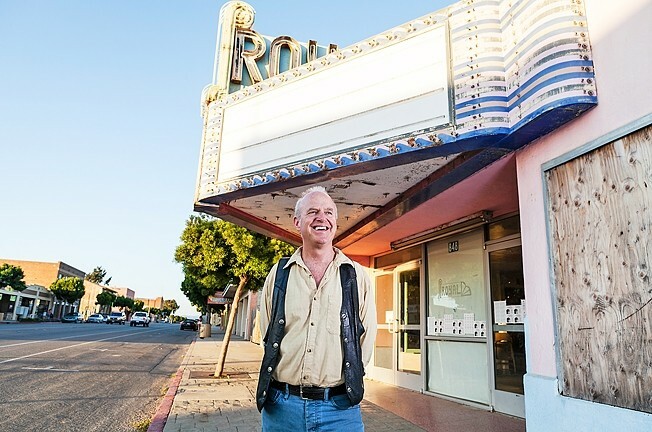 EXPLORING STANZAS : Michael McLaughlin is the artist-in-residence at the Atascadero State Hospital and works as a contract artist with the California Department of Corrections. He also leads the Live from the Core poetry series that happens monthly at Core Winery in Orcutt. The opening piece in Countless Cinemas is mysteriously devoid of capitalization. Lines tumble into one another, with no clear endings. This is a specific device called enjambment, McLaughlin told New Times after reading the piece aloud (listen to his reading and full interview at newtimesslo.com). The technique creates a rhythm, he explained, which relates a flurry of images and feelings, whether the words are read or heard. McLaughlin is a poet by practice and trade. He has been the artist-in-residence at the Atascadero State Hospital for 25 years and does extensive work throughout the state with the California Department of Corrections. He also leads Live from the Core, a poetry series featuring local and nationally known poets monthly at the Core Winery in Orcutt. The series is also a chance for locals to hear McLaughlin read a poem or two from his book and buy a copy. 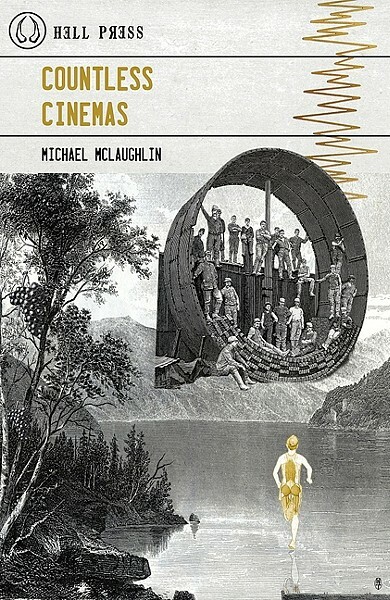 CINEMA OF MIND: Local poet Michael McLaughlin’s new book of poetry, 'Countless Cinemas,' from Hell Press is a brazenly introspective and emotive collection of short and long works. Much of the work in Countless Cinemas is steeped in nuance. It’s often unclear whom the poet is addressing. Some are friends—others are treated more like enemies. There are intensely personal moments in McLaughlin’s book, like the poem he dared to share at his mother’s memorial service. But really, it’s the feelings that matter, he explained, and the details aren’t always strictly autobiographical. GET A COPY: • Michael McLaughlin’s new book of poetry, Countless Cinemas, is published by Hell Press and is available for purchase at amazon.com. • Live from the Core happens the second Saturday of every month at 8 p.m. at the Core Winery Tasting room in Old Town Orcutt. More information is available on McLaughlin’s website at mycalmac.com. The task of the poet or any artist, McLaughlin said, is to plumb the depths of truth, no matter where it’s found. Sharing that mission is a large part of McLaughlin’s artistic life. He helps people in recovery, incarceration, and education build their poetic skills and learn to listen to and read great poetry. He works with the California Youth Authority and as the San Luis Obispo County Area Coordinator for California Poets in the Schools. Part of the inspiration to begin Live from the Core was to provide locals a chance to hear world-class poets while giving them a chance to read as well. Sun Arts Editor Joe Payne from New Times’ sister paper tries to stay focused. Contact him at jpayne@santamariasun.com. PODCAST: Arts Editor Joe Payne—of New Times' sister publication the Sun—interviewed Michael McLaughlin for the May 19, 2016 edition. Listen to more podcasts by Joe at santamariasun.com.